YouTube has become one of the best media sharing platforms on the internet. While there are other video sharing sites on the internet, YouTube is still on top due to some very legitimate reasons. First of all, YouTube is a part of Google’s services and they have the best video distribution platform. 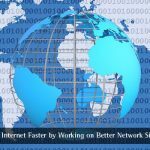 You can easily watch videos on the platform and those videos will play just fine even on slow internet. Secondly, it is a publishing platform where you can publish videos and earn money from Google AdSense by showing ads on your videos. YouTube is also a big platform for artists and labels to post their music. You will find a big number of professional and indie music artists posting their work on YouTube. This lets them have a big platform to share their creations on and it has a lot of potential too. It is good for a person like me who listens to music while working and I can just have a YouTube tab open and work in a different tab altogether. But what if you want to carry this music with you? Surprisingly, you can convert the YouTube videos into another file format you want and take them with you anywhere on your smartphone or music play to listen to them anywhere. I personally do it for downloading music from indie artists and to listen to podcasts on the go. 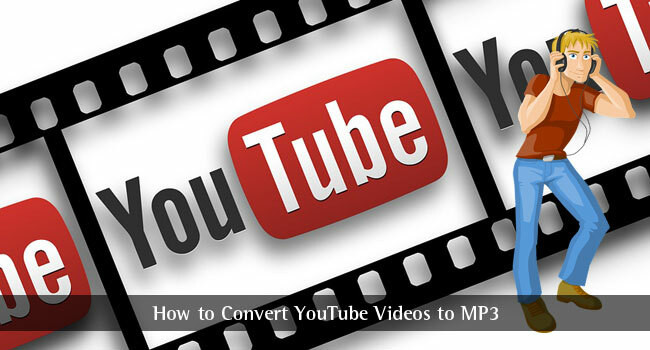 Let us learn how to convert YouTube videos to MP3 in this post. The step to convert these YouTube videos to MP3 is very easy and you don’t need to download any sort of software in order to convert these. You have online services that let you convert these videos to MP3 online. Copy the link from YouTube’s video (or the link from other services) and switch to the tab where you have opened the website that we will use to download the mp3. Paste the link into the input box on the converter page and click the convert button. Add the tags or skip that step. On the next page, click on the Download button and the converted MP3 will start downloading. Another great online YouTube converter is https://y2mate.com/youtube-to-mp3/. This converter works similarly to the one that we already mentioned above. This is all you need to do in order to convert YouTube videos to MP3 and the process, as you saw, is very simple and easy to use. You can use this method to download music from indie artists, podcasts and more. This process makes it very easy for you to take the music you like with you. I think this an excellent method. It is very helpful plz keep it up. Thanks for sharing such an amazing information. Hope this article will helpful for the people to convert youtube videos to mp3. Great Post! I like to listen to music on YouTube. I also use some software to download mp3 from YouTube but the major of them don’t work. I like your suggestion. I will try it. Thank you so much. I prefer using youmagictube to download YouTube videos and songs. Thanks for sharing the helpful blog. Good luck with your blog. Convert YouTube videos to MP3 is nice article. I will using this method. Thank you so much. Nice info. I think you forget to mention https://www.mp3converter.net. It’s my favourite tool to convert youtube to mp3. I prefer https://planetlagu.id/ which is best youtube to mp3 converter in my concent.